Just when you thought it was safe to embrace social media! Earlier this year, Wild Freeborn (yes, that’s her real name) posted a YouTube video, with the help of her dad, with an enthusiastic pitch: “Buy cookies! 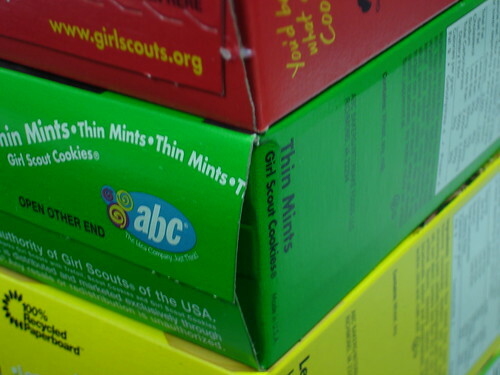 And they’re yummy!” They set up an online order system where customers in their area could purchase Tagalongs, Thin Mints and Samoas. Within two weeks, 700 orders came in. But Wild Freeborn’s e-commerce plan hit a major snag. The Girl Scout Cookie Program, which according to Newsweek “bills itself as the largest program to teach entrepreneurship to young girls,” says it prohibits all online sales of its cookies — primarily because of safety reasons. Its guidelines state that Internet use should only be for advertising. I understand the drive for a parent to do what he can to help his daughter sell more boxes. But the rules are there for a reason, and you should adhere to those rules. This father knowingly broke a rule. Some people have criticized the Girl Scouts for not allowing cookie sales online, but I don’t think those people understand that the policy is there to keep it fair and safe for the girls participating. People may not realize that Girl Scouts don’t make a ton of money on the cookie sales. The primary goal of the cookie sale, along with the fall nut & calendar sale, is to teach the girls entrepreneurial skills along with the life lessons of honesty and fairness. The lessons learned from selling cookies is the main point of the exercise, not to harass you outside your local super market to buy some Thin Mints to line their pockets. He knew there was a rule against this, and yet let his daughter break those rules to meet her goal to go to camp. To me, the lesson that it’s okay to break the rules when you want something bad enough is not as important as fairness and honesty. Had this just been a YouTube video, I don’t think the GSUSA would have taken issue. The online ordering system the father set up is where the line was crossed, essentially allowing his daughter and her troop to “steal” sales from other girls. Bear in mind that I work in online marketing myself, and while I’m usually the first person to advocate brick and mortar organizations to leverage social media and online marketing to their benefit, I still stand behind the Girl Scouts in their decision in this case. None of the articles I read commented on whether or not the girl had to forfeit those sales; my best guess is that they let those orders stand at the time the website was taken down. I’d love to see her embrace social media in other ways with working on different badges or other troop-run fundraisers to help them go to camp. That would allow her father to teach her what he really thinks he’s teaching her, about updated marketing tactics and technology, without the underlying questionable rule-breaking message. On-Site Cookie Sales Start TODAY! If you didn’t get a chance to pre-order your delectable girl scout cookies last month, now is your chance. On-site sales start today, so now’s the time to get those about-town chores done and scope out where your local troops are selling. Good places to check are grocery stores and department stores. Just in case driving around aimlessly for some thin mints isn’t your idea of a fun afternoon, find your local council and ask them where you can find troops selling cookies on-site. Get your cookie gear on! 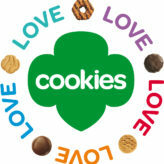 Received an email today from the Girl Scout Store advertising all their cookie gear. They now have everything from badges, to socks, to scrapbook kits, to a totally awesome cookie jar! Check it out all the Girl Scout cookie gear here. I’m not the kind of person that uses a cookie car, but this is awesome. Also, to reflect back for a moment, it’s been 10 years since I was a girl scout and I can selfishly wish they’d been smart enough to market this kind of thing when I was a scout! Not only is this a cool piece of paraphernalia, but it would have been a great thing to be able to sell to neighbors, friends, and relatives along with the cookies. What an up-sell opportunity! I have the benefit of being able to look back on this from my current career in marketing to know that any up-sell opportunity it one worth exploring. I’m also really glad to see that there are actual badges now regarding the cookie sales. I remember all we got was the event patch for participating, and I always had the nifty little Top Seller add-on patch. Way to go GSUSA!